(Pak Destiny) It is a typical style of the PML-N to unleash some of its stalwarts on its opponents to achieve its target. Earlier Muhammad Zubair, now Sindh governor, was used to target PTI Chairman Imran Khan on the instruction of the leadership. Now it appears that he got a new task – target former army chief Gen Raheel Sharif – to belittle him as his stature has become larger than life. 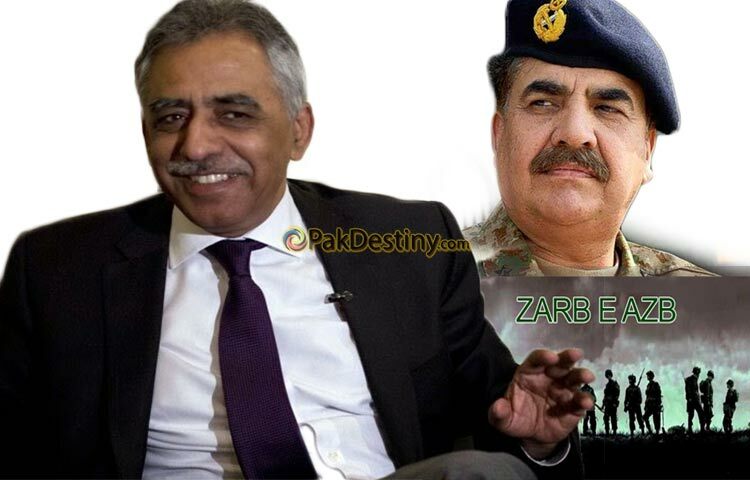 Zubair said media made Raheel larger than life otherwise he is an ordinary person. Speaking on the sidelines of the ‘Leaders in Islamabad’ business summit on last Thursday, Mr Zubair blamed media hype “for turning the former chief of army staff into a larger-than-life figure”. “He’s a normal person, let’s be fair with him,” Zubair said. Raheel Sharif has been made head of a Saudi-led counter-terrorism coalition. “Raheel Sharif is an ordinary man, an ordinary general,” Mr Zubair said, adding that the media gave Raheel Sharif the credit for the Karachi operation. It was Prime Minister Nawaz Sharif, and not former army chief General Raheel Sharif, who had brought peace to Karachi,” he said. Insisting that the prime minster was the one who envisioned the Karachi operation after coming into power in July 2013, he said the media had portrayed Gen Sharif as if he were Allama Iqbal, dreaming of a separate homeland for Muslims of the subcontinent. “The credit for the Karachi operation goes 100pc to the prime minister,” he declared. Zubair earned a lot of flak across the world from Pakistanis terming him a tout and “boot polishia (shoe-polisher)” of Sharifs who has been given a new target to hit out at Raheel in order to belittle him. Zubair is badly exposed this time… many are wondering what benefit he is after this time for his new job – hitting out at Raheel – to get. He was made governor Sindh to constantly hitting out at Imran Khan. we know Nawaz claim credit for Zarb-e-Azb is hard for me to digest at least. We love you Raheel Shareef.. Let them bark who are born to to that..
For the shame of Governor Sindh Zubair Umar who is now trying to give 100% credit of Zarb e Azb to his leader who was not even in the favor of operation against terrorists before Raheel Sharif & before APS Peshawar tragedy. Zubair Umar, Khalild Umar & Asad Umar including their father are all a family of snakes. 3 of the above are in PMLN & 1 is planted in PTI. Please don’t mind but I refuse to use the Title of Brig. against Khalid Umar’s name, he simply does not deserve it.